Whether applying for an internship, your first job or just looking for a change in scenery, the job market is tough. It’s competitive in nature and in today’s age of technology, can be somewhat impersonal. 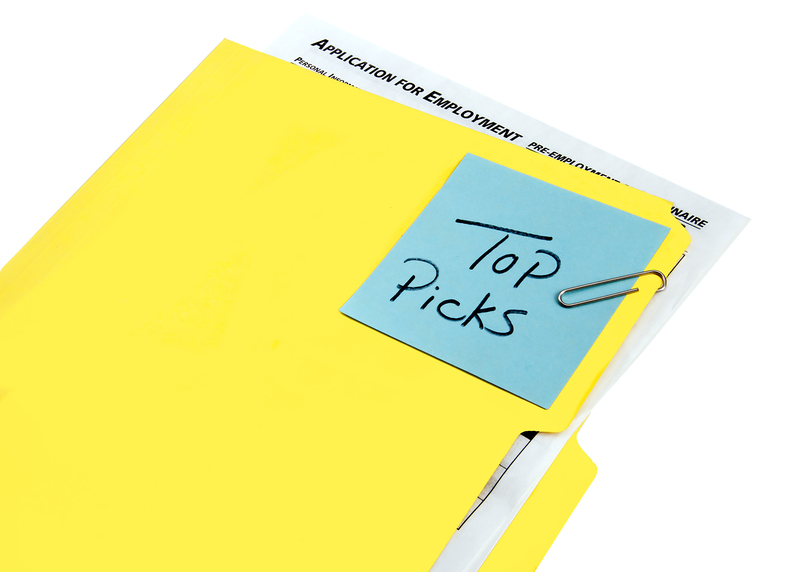 With stacks of resumes to choose from, hiring managers often look for reasons to rule out applicants. While that may sound harsh, it all comes down to the amount of time and effort it takes to hire someone new. We all want to use the hours in our day most efficiently, so the smallest things can make a difference in the application process. Regardless of the position, there are some hard and fast rules to follow to one, to land your resume on top of the pile rather than in the trash. These days, it’s all too easy to quickly hit the send button. Instead, take the time to write a thoughtful cover letter, addressing the individual you’re sending by their proper name, Mr./Ms. and last name. Secondly, never send your cover letter as an attachment. You’d be surprised how many emails I receive with a cover letter and resume attached, and nothing in the body of the email. While not a deal breaker, a thoughtful, personal note will always give you a leg up. If you received a response, consider yourself a step ahead of the rest. Give yourself a pat on the back that your initial outreach set you apart from other applicants. However, don’t rest easy just yet. With the same due diligence that you sent your resume and cover letter, the same attention to detail should be paid to future emails. I’ve often received terse, misspelled and grammatically incorrect emails to my inquiries to arrange an interview. In that moment, I know they will not be the best fit. If you cannot maintain professional correspondence with your hiring manager, what’s to make them think you can handle emailing with clients? It’s today’s age old saying. When applying for a job, be mindful of your social media profiles. If your profiles are public, trust me, we look. Additionally, pay attention to your Google + profile picture. Most emails are linked to Google these days, so the first image your potential employer sees should not be of you out on the town. Social media is a huge tool in today’s world, so if you profile is public, make sure you’re posting thoughtful and fun content. There’s nothing wrong with showing your personality, just make sure it’s something you wouldn’t mind your future boss taking a look at. Lastly, be clear in your intent when sending through your application. If you have the hiring managers direct email, don’t address your note to “Whom it May Concern.” Additionally, spend some time researching the company and personalize your cover letter accordingly. Addressing ‘the company” or “the position” should not feel like a generic cover letter you send out for all job applications. And as an intern, please don’t say it’s for a requirement. We want you to work here because you want to, not because you have to. If you’ve landed the interview, congrats! While nerves will always be at play, make sure you arrive a bit early, dressed professionally and with a printed out copy of your resume. As an added bonus, bring your portfolio or a few examples of relevant work. And don’t forget to ask interesting questions! This is always a good sign of an intelligent thinker and someone who’s done their research. While the job application process can be a bit daunting, follow these simple tips to help weed out the rest of the competition. And last but not least, prepare, be personal and don’t forget to be yourself!